Gamers who like digital distribution will be able to download any physically-released NGP game on day one, says Sony. 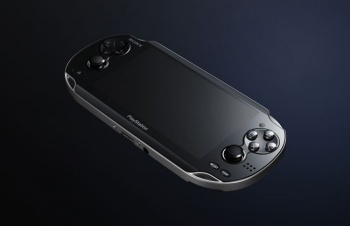 Whether it's because of Apple's stunning success in the mobile gaming market or because of Steam's stunning success in the PC market, Sony has been a very strong proponent of digitally downloadable games on its handheld devices. Its last try at a digital-distribution system, the PSPgo, flopped hard no matter how Sony tried to spin it, but the hardware giant is ready to try again with the NGP. Speaking with MCV UK, Sony Europe boss Andrew House said that every NGP game that hit store shelves would have a downloadable counterpart. "One thing we [learned] from PSP, is that we want to have simultaneous delivery in digital and physical for NGP," said House. "Just to clarify that, all games that appear physically will be made available digitally." This is a good move for Sony, I think. One of the (many) problems with the PSPgo was that it was digital-distribution only, which turned away gamers who either didn't have the local infrastructure to support multiple-gigabyte downloads, or who simply preferred to own a hard copy of their games. By letting these gamers buy a hard copy as well as allowing digital-distribution enthusiasts to pull all of their games from thin air, you're catering to both sides. That is, of course, assuming it all goes as planned. Something might interfere with these plans and cause havoc before the NGP hits shelves - but if nothing else, it's an encouraging sign.